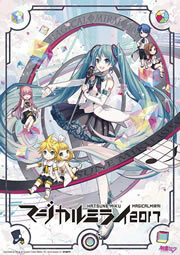 The Hatsune Miku: Magical Mirai 2017 official live and exhibition videos are now online! The event was held at Makuhari Messe on September 1st~3rd, and concluded with more than 30,000 visitors this year. Moments of the live concerts and exhibitions are now available on the official Hatsune Miku Youtube channel featuring “Sand Planet” by Hachi and “Miku Miku ni Shite Ageru♪” by ika. Speaking of concerts, preorders for the Blu-ray & DVD are currently available, with release date announced for January 10th, 2018. Check out more details here! Also check out the official images, PR illustrations, setlist, and band members released today on the official site! A Hatsune Miku fan from Thailand since 2009, Mercuryw joined MikuFan.com as the co-writer since mid-2014. You can find Mercuryw on Twitter at @Mercuryw_.